The “cold brew” method of making coffee is one of the simplest. To make a batch, the user steeps coarsely ground coffee in cold or room temperature for several hours—usually around 12. The grounds are filtered out when the brewing process is complete, and the result is a strong brew that is typically diluted with water and/or milk. Though cold brew is not a new method of making coffee, it’s one that people have gravitated to in recent years—maybe because it meets their desire for strong coffee, or maybe because it’s so easy to make. At Let’s Talk Coffee® 2014, we decided to jump into the topic of cold brew by bringing together a couple of roasting companies that use cold brew in different ways. Stephen Vick is the green coffee buyer of Blue Bottle Coffee, which in 2014 launched a New Orleans Iced Coffee made from cold-brew coffee. Nathanael May is director of coffee at Portland Roasting, which has seen cold-brew coffee’s popularity increase among the company’s wholesale accounts. 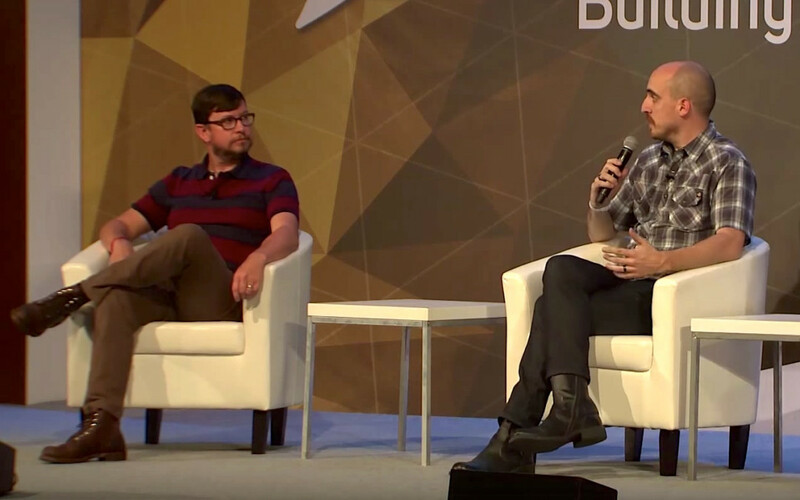 Stephen and Nathanael sat down with moderator Marcus Young of Sustainable Harvest® for a panel discussion covering the many facets of cold brew. Please enjoy.